We're all under pressure at this time of year to buy more and gift more. Rather than fighting the hoards at the shopping centre, why not have some fun making thoughtful, sustainable and budget-friendly gifts this year? Here are some fabulous, natural gifts you can create at home for your loved ones this festive season. Don't forget to save some for yourself! Get creative in the kitchen with this simple and stunning gift idea. For some tips to get you started, read more here. For spice and savoury lovers, you can't go wrong with a tangy relish or homemade chilli sauce. For sweet tooths, you might try easy-to-make, low sugar chia jams, salted caramel or chilli chocolate sauces or even ginger and lemon infused honey which is an incredible spread and can also be used to make tea for colds, coughs and allergies – just add hot water! A deliciously warming and spicy tea blend perfect for winter mornings. Chai concentrate is easy to make in large quantities and bottle in recycled glass jar or bottles for your friends. Once made, keep it refrigerated until using to make up a delicious tea with your favourite milk, add to banana smoothies or nice-cream (yum! ), make into an iced chai or even use as a fragrant poaching liquid for fruits. 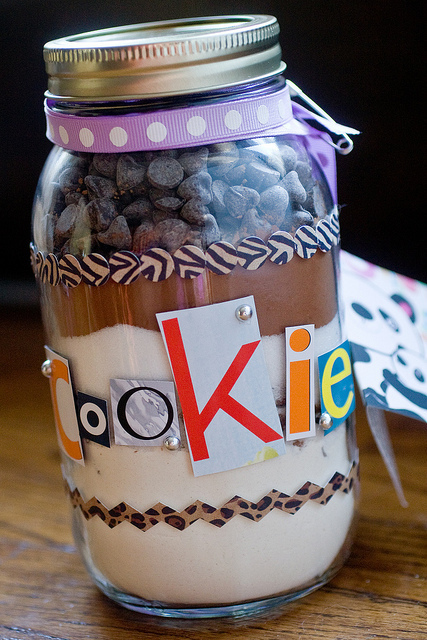 Give your friends a sweet treat they can make and enjoy at home by providing them with the dry ingredients for a cake, cookies or muffins beautifully presented in a recycled jar. Don't forget to include a list of the wet recipe ingredients they'll need and the cooking method for their mix too. We can guarantee this vegan double choc pecan cookie mix will be a big hit! Flavoured salts are another fun option to make for gifts and work well with a variety of ingredients, even sweet ones like vanilla! An approximate ratio for flavoured salts is 1 – 2 tsp. dried ingredients to ¼ cup good quality plain salt (use sustainably sources and mineral rich salts such as Tasman sea or Murry river flaked salt for extra health benefits). Some winning flavour combinations include; ground nori (seaweed) sheets for a tasty Japanese inspired seasoning, dried lime zest and chili flakes or rosemary and garlic salt to enhance the flavour of any dish. Some great flavoured salt recipes and cooking methods can be found here. Raw treats are a great way to spread some serious nutritional love. A perfect gift to make in big batches and better yet, raw slices, chocolate 'barks' and superfood balls can be frozen for longevity, if there's any leftovers that is! There are an infinite amount of raw recipes out there to try, but here's a delicious and healthy one for some inspiration. 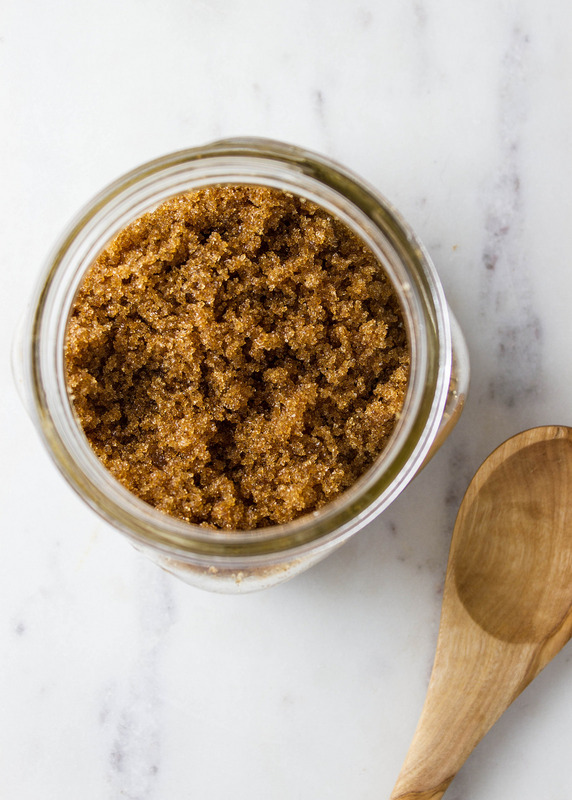 Why not make your friends an all-natural skin scrub that smells and tastes good enough to eat? Good quality salt or sugar, raw honey, coconut or sweet almond oil, coffee grounds, cacao powder and even ground turmeric and cinnamon powder are all popular ingredients from the kitchen that you can use on your skin. Here's an easy, sensitive skin-friendly recipe to get you started. Homegrown dried herbs are the ultimate sustainable gift for friends and family, not to mention extremely useful for budding cooks! Save your nearest and dearest dollars and packaging waste on tiny packets of herbs from the supermarket by giving them some beautiful bunches of rosemary, lavender, sage, bay leaves or any other suitable herbs you have in the garden to use for up to a year! Herbs with low moisture content (as listed above) are the best for drying, as they are less likely to develop mould.